Brighton's answer to London's Camden Crawl, The Great Escape, has revealed its full line-up! The three-day festival which will showcase more than 300 local and international bands across 34 venues in the seaside surroundings of Brighton town, will run from May 14th to 16th. 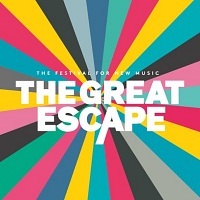 The Great Escape will also host discussions, with panelists including Radiohead's Colin Greenwood, musician poet Simon Armitage, journalists Paul Morley and Alex Petridis (who, in passing, shares a strong resemblance with Mark E. Smith, if you trust The Great Escape's website! ), author Jon Savage, and other prominent practitioners in the muso world. Three-day early bird tickets are on sale now, at the cost £39.50, so chop-chop!